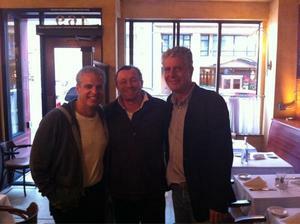 Famously irascible television personality ~Anthony Bourdain~ was spotted filming at famously irascible Embarcadero restaurant Sinbad’s yesterday. Yes, Sinbad’s is still open, despite that ongoing dispute with their landlord. And now it’s going to be on television. Arrrrrrrrr!